Mock test are the trial test for the exam preparation and to create exam mindset. Your way of conducting mock test will determine your performance on the exam day. Mock test for NEET Exam helps you to analyze key points like performance, strengths, speed, technique, time management skill and pattern. A specific time span should be spent in analyzing all these exam key strategic points. The purpose behind practicing mock test is to measure your current preparation level and work on your weakness. At least maintain a day's gap in between two mock test so that you can goodly analyze your performance and work on your mistakes to improve them. 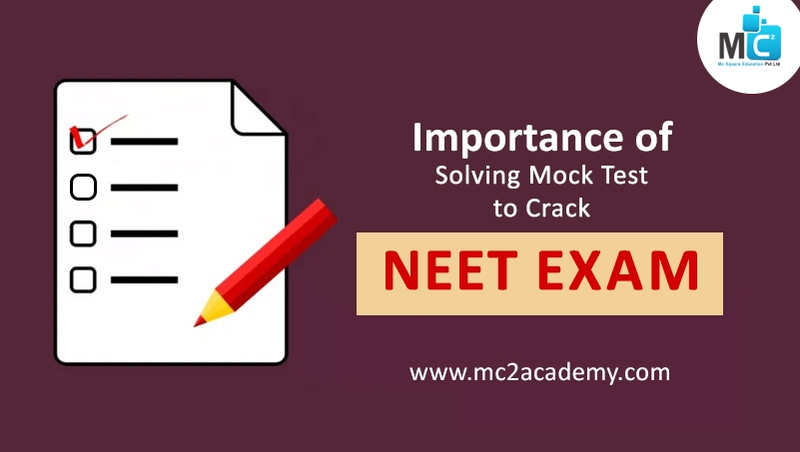 By solving mock test you can cover the entire syllabus and start to thinking in the manner suitable for the NEET Exam. NEET Mock Test are conducted by keeping the actual exam pattern in mind to provides the perfect platform for students to simulate the exam day atmosphere so that they can make the best preparation strategies and schedule accordingly. Try to solve as possible as number of mock test of NEET to achieve best level of preparation and clear exam. NEET Classes in Pune provides the Online Mock Test Series for all NEET aspirants. So take an advantage of this opportunity and solve possible number of practice test to convert your weak points into strengths. Now it’s time to stop taking exam stress, tension and start solving NEET Mock Test!!! So dear aspirants mainly focus on practice and avoid distractions to crack NEET Exam with good score.